That’s right folks! 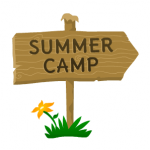 It’s time to start thinking about the 3rd Reading Scout Group Summer Camp 2017!! This years camp will take us to a private campsite by the side of a mountain lake, in beautiful Snowdonia. © Copyright 2019, 3rd Reading Scout Group, All Rights Reserved.